Trustworthy information, straight from the source. Education is the first step in an empowering healthcare plan. Learn more about chronic obstructive pulmonary disease from prevention to diagnosis and treatment. Chronic obstructive pulmonary disease (COPD) is a lung disease that makes it hard for you to breathe. It is usually a result of lung damage caused by years of irritation and inflammation in your lungs. This limits air flow in your lungs. 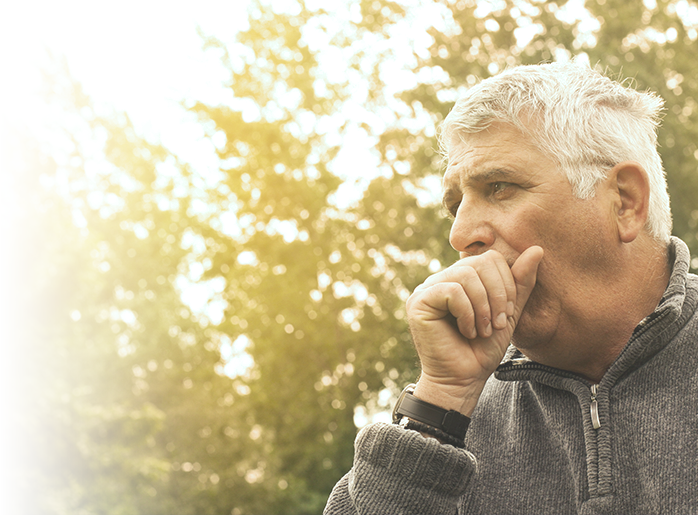 Smoking, pollution, genetics, or a history of lung infections can increase your risk for COPD. Coughing fits that bring up mucus from your lungs. Lung function tests measure the airflow in your lungs and show how well you can breathe. Blood tests check for infection and measure oxygen levels in your blood. A chest X-ray is done to check for other lung problems. A CT scan or CAT scan is a type of X-ray that uses a computer to take pictures of your lungs. You may be given dye before the pictures are taken to help healthcare providers see your lungs better. Tell the healthcare provider if you have ever had an allergic reaction to contrast dye. Medicines to open your airways, decrease swelling and inflammation in your lungs, or treat an infection may be given. You may need two or more medicines. A short-acting medicine relieves symptoms quickly. Long-acting medicines will control or prevent symptoms. Ask your healthcare provider for more information about the medicines you are given and how to use them safely. Pulmonary rehabilitation is a program to help you manage your symptoms and improve your quality of life. It may include nutritional counseling and exercise, such as walking, to strengthen your lungs. Oxygen may help you breathe easier and feel more alert if you have severe COPD. Surgery is sometimes done if all other treatments have failed. A lung reduction is surgery to remove part of your damaged lung. A lung transplant is the replacement of your lung with a donor lung. Ask your healthcare provider for more information about surgery for COPD. How can I manage COPD? COPD is a serious condition that gets worse over time. There is no cure, but there are things you can do to feel better and prevent COPD exacerbations. A COPD exacerbation is when your symptoms suddenly get worse. It is important to prevent exacerbations because they cause more lung damage. Do not smoke and avoid others who smoke. If you smoke, it is never too late to quit. You are likely to live longer and breathe easier if you quit smoking. You may also have fewer exacerbations. Ask for information about medicines and support programs that can help you quit. Be aware of and avoid things that make your symptoms worse. Cold weather and sudden temperature changes can trigger an exacerbation. Fumes from cars and chemicals, air pollution, and perfume can also increase your symptoms. Exercise daily. Exercising for at least 20 minutes per day can help increase your energy and decrease shortness of breath. Walking or riding a bike are good ways to exercise. Talk to your healthcare provider about the best exercise plan for you. Prevent infections that can be dangerous when you have COPD. Get a flu vaccine every year as soon as it becomes available. Ask your healthcare provider if you should also get vaccines to prevent pneumonia, whooping cough, tetanus, and diphtheria. Avoid people who are sick, and wash your hands often. Use pursed-lip breathing any time you feel short of breath. Take a deep breath in through your nose. Slowly breathe out through your mouth with your lips pursed for twice as long as you inhaled. You can also practice this breathing pattern while you bend, lift, climb stairs, or exercise. It slows down your breathing and helps move more air in and out of your lungs. You are confused, dizzy, or feel faint. You have more shortness of breath than usual. You need more medicine than usual to control your symptoms. You are coughing or wheezing more than usual. You are coughing up more mucus, or it is a different color or has a different odor. You gain more than three pounds in a week. You have a fever, a runny or stuffy nose, and a sore throat, or other cold or flu symptoms. Your skin, lips, or nails start to turn blue. You have swelling in your legs or ankles. You are very tired or weak for more than a day. You notice changes in your mood, or changes in your ability to think or concentrate.